Yorkie breeders consider that these toy breed dogs are really prone to infection and a lot of Yorkies have problem with ears. There are some rules how to treat ear infection in Yorkies and following them, you will have a chance to keep your dog in a perfect form. Ear infections that happen to dogs are usually called Otits Externa or in other words, infection that affects the outer ear. Meet Haley, a male, & Haley, a female, the loves of my life! 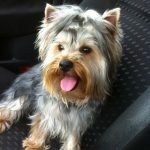 A lot of Yorkies are prone to become overweight and a lot depends on the owners who do not pay attention to calories their Yorkies consume during the day. If you see that your pet is gaining weight, you need to take certain measures to prevent this health condition as it would be really difficult and stressful for your dog to lose weight. Sharing your food with the dog is number one problem that can cause overweight and you need to stop it immediately as soon as you notice certain signs. If you have a Yorkie, you will need to take care of your pet. But if you start using professional services, you will see how costly it may be. 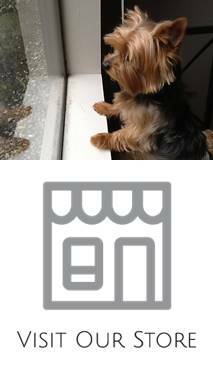 That is why it is essential to learn the affordable ways of taking care of your Yorkie. The greatest problem of any owner of Yorkie is to manage hair of your dog properly. This type of dogs needs regular grooming and care that may take a lot of time and efforts. Using professional grooming services is easy but you can save on them. It is always hard to see Yorkies suffering from being neglected and forgotten, and there is always a wish to contact a Yorkie rescue group to provide the needed care which is missing. But people do not know how to help a Yorkie in this situation. And, if you are so concerned about health of Yorkies, you can always find a phone number of the nearest vet.